Colder temperatures often lead to drier skin. Between the harsh winter winds battering our faces and heating system drying out the air in our workplaces and home, it’s no wonder that many people experience dry, rough or even cracked skin during this time of year. High-end lotions and creams for treating dry skin are typically expensive and run out quickly. Even the costs of drugstore lotions can add up in winter when you need to reapply often. Fortunately, these cheap solutions can help you nourish and hydrate your skin all season long. 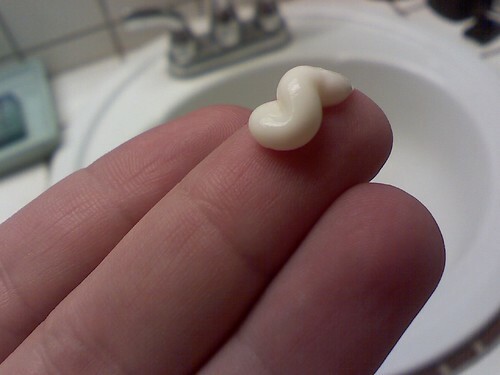 You don’t need to buy the fanciest products to get the best results from skin moisturizers. According to Harvard Health Publications, two of the most effective moisturizers are also two of the least expensive: petroleum jelly and mineral oil. Easily found in your local drugstore, these items cost just a few dollars per package but will give you by far the most bang for your buck. Apply mineral oils to the skin regularly to lock in moisture and keep your skin hydrated. Because they do not contain any water, you’ll get the best results by applying the oil to your skin when it’s still damp from a shower or bath. Simply pour a small amount in your hand or use a spray bottle to apply, rubbing the oil in. Then, let your skin air dry for a few minutes before putting any clothing in direct contact with your skin. Petroleum jelly works especially well for cracked or rough patches on the skin. It acts as a protective seal while adding moisture to the area. You can apply it to specific problem areas with the same method as mineral oil. Many people also find that using petroleum jelly as a lip balm when going to sleep or walking in the cold helps to prevent and repair cracked, dry lips. Taking a bath is more than just relaxing – it can also relieve dry skin when you combine it with oatmeal. It may sound a bit odd, but adding oatmeal to a bath can soothe dry skin. To make an oatmeal bath, grind one cup of uncooked oatmeal in a food processor. Keep grinding until you have a fine powder. Add the oatmeal powder to your bath as your run the water to fill the tub. Then simply soak for at least five to ten minutes. When bathing or showering in winter, remember that hot water can dry out your skin. If your skin appears red when exposed to the water, it’s too hot. Additionally, you should look for moisturizing soaps that are free of fragrances, deodorant and alcohol. Humidifiers are a top-selling item at this time of the year, but they can be expensive. Plus, running them for hours at a time runs up your energy bill. If you want the same effects without the extra expense, simply make your own humidifier at home. There are several cheap ways to add moisture to your air at home. Get plants. The leaves and stems of most houseplants will add moisture to the air through evaporation. Just make sure they are well-watered for the best results. Use a vase. Even without a plant, a vase filled with water adds moisture to the air. Place it by a sunny window to help facilitate evaporation. Cook on the stove. Make meals on the stovetop and use a teakettle for added moisture in the air. Shower with the door open. Steam from the shower will keep your air from getting too dry. Air-dry your clothes. Instead of using the dryer, let wet clothes dry on a rack or clothesline inside. You can also hang a wet towel in your bedroom at night for the same effect. Keeping your skin covered when you go out into the cold is one of the easiest and cheapest ways to protect your skin in the winter. Make sure your wear a coat, hat and scarf when it’s especially cold. A thick pair of gloves is especially important since the skin on your hands is thinner than on most other parts of the body. If you need to save on winter gear, try shopping at a thrift store for gloves and layered clothing. When choosing winter weather wear, keep in mind that certain fabrics can irritate dry or sensitive skin. Wool is a common culprit, but be aware of any other fabrics that bother your skin. It may also help to choose a detergent that’s fragrance- and irritant-free. Now that winter is in full swing, there’s no better time to start taking better care of your skin. Use these inexpensive remedies from the drugstore, the thrift store and your very own home to relieve your dry skin this winter.